Purim is also about anti-Semitism. 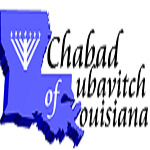 (See www.chabadneworleans.com/blog for last week’s post entitled “Purim is not about anti-Semitism.) Not only that, but even after the Haman threat was eliminated, serious vigilance against the potential flare up of further anti-Semitism was needed. Where is this indicated? The answer is in the earlier part of the verse, “Mordechai the Jew was viceroy to the king.” Some of his colleagues in the Sanhedrin felt that once the decree was averted, Mordechai should have resigned from governmental affairs to exclusively apply himself to Torah. In fact, in a listing of leading sages of the Sanhedrin in the book of Nechemiah, Mordechai is slightly demoted from his place on an earlier list in the book of Ezra. So why indeed did Mordechai elect to remain an active leading member of the king’s court? In the opening verse of the Megillah it states: “And it came to pass in the days of Achashverosh, the same Achashverosh who ruled… one hundred and twenty-seven provinces.” Why does the verse repeat the name of the king? It could have just said, “In the days of Achashverosh who ruled…” Our sages explain, that the verse is pointing out to us that Achashverosh was also a Jew hater. He was threatened by the prophecy of Jeremiah that G-d would bring the Jews back to Israel after 70 years of exile. The party described in the opening chapter of the story is a celebration of his perception that those 70 years passed and the Jews would be his subjects forever. Indeed later on the story, when Haman offers the king 10,000 silver talents in exchange for permission to destroy the Jews, Achashverosh responds, “The money is yours to keep, and the nation is yours to do with as you please.” Why? Because he was an anti-Semite just like Haman was. Maybe for a more pragmatic reason; but he hated the Jews all the same. Mordechai reasoned, that a fickle king such as Achashverosh, who displays such narcissistic tendencies, can easily swing right back to his old Jew hating ways if he felt threatened by them. So Mordechai deemed it necessary to remain as viceroy, in order to address any threats that may arise.